Angel Pie with Berries, Cream, and Custard is the “real” name of the showstopper featured in this blog post, but Dragonfruit Sea Creature Angel Pie is so much more descriptive and enticing, don’t you think? Let me show you how it was done. During our 8 month stay in Los Angeles, I only made one “new” pie from Ken Haedrich’s cookbook Pie while AT our apartment (the others were all made during travels). There’s something poetic about an angel pie living on in memory as the pie of the City of Angels. 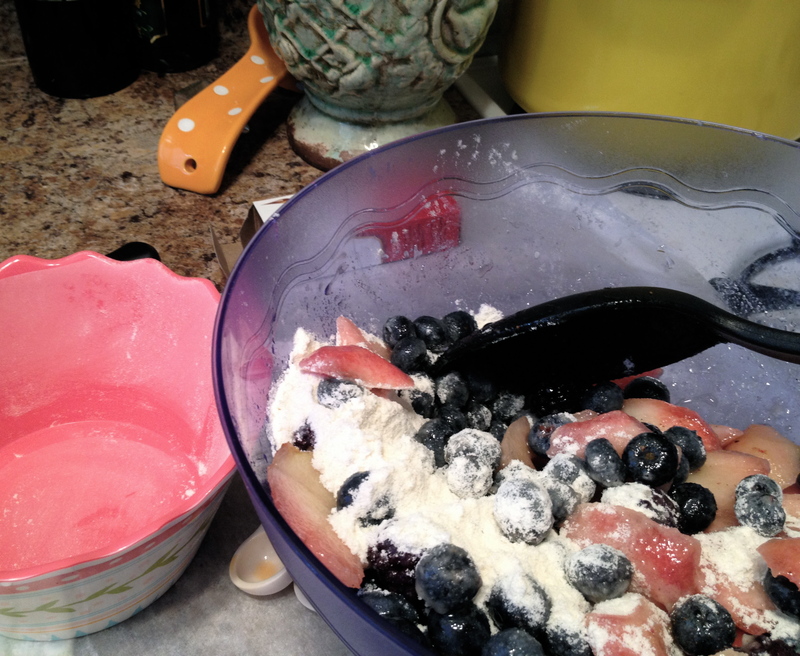 The meringue is shown above, ready to be baked low and slow. Forming a shape out of meringue, even if it’s just a basic bowl shape, is something I find tricky yet enjoyable. The texture is just so wild. It’s hard to believe that egg, sugar, and cream of tartar can turn into this pliable, bouncy, expansive substance. I also pretended that I was on The Great British Bake-Off while I was preparing this base. Paul Hollywood probably wouldn’t have been pleased with my final product, as there was a slightly visible hairline fracture, but I was pleased enough. 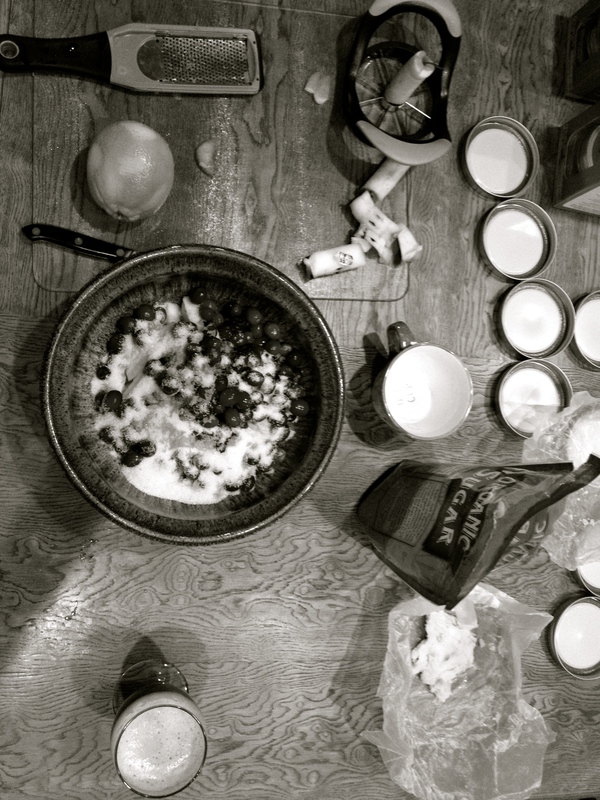 As usual, my biggest pie-making challenge is timing. I rarely leave hours in between stages of baking as suggested, as the need to eat the pie always seems pressing…but I let this base cool as long as humanly possible before filling and decorating. As far as the decorating, I can take very little, if any, credit. This pie was for our dear friend Matt’s birthday. He had been visiting us in LA for a week and we made the pie on the last night of his stay (which we wished we could extend indefinitely/forever). Matt is one of my top pie sous chefs, a sculptor, and a lover of whales and giant squids, so naturally he set to work carving intricate sea creatures out of dragonfruit purchased from the Japanese market across the way. 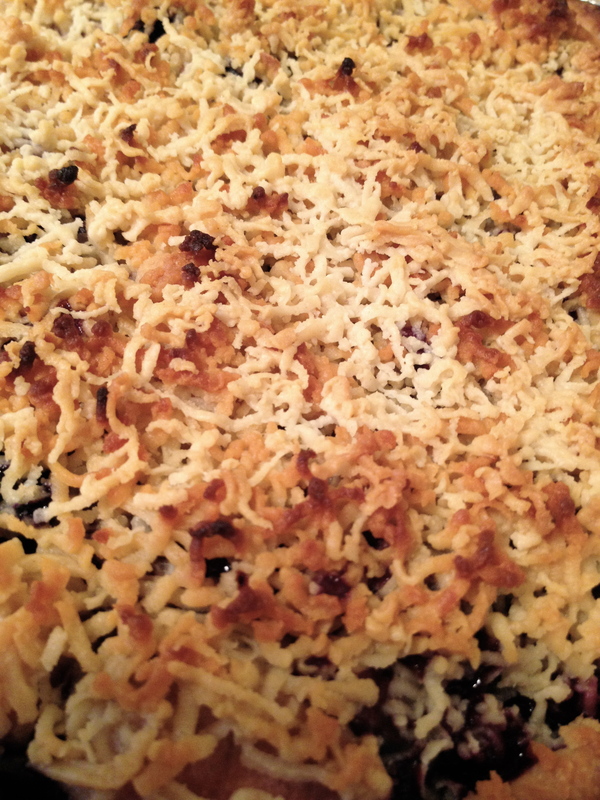 Another artistic touch by Matt…halving blackberries to line the pie’s border. Excellent. Here we see the pie really coming together–the basin has been filled with homemade whipped cream, waves of berries are crashing from within, extending over the shore, and a dragonfruit sea turtle surfaces for a quick hello. Finished creation featuring four sea creature friends: a whale, a turtle, a seahorse, and a starfish. I am not embarrassed to report that the four people eating pie that night (I’m not counting the baby-Levi’s mom helped us out, his dad having decided that chocolate ice cream from Salt and Straw was more his speed than Dragonfruit Sea Creature Angel Pie) decided to simply quarter the whole thing and FULLY consumed it in one sitting. All that was left over was some of the Creme Anglaise, which I totally forgot to take pictures of, but which we did enjoy drizzled onto our pie quarters, as well as on Matt’s birthday breakfast pancakes the next morning. It has been a while, and I have so much to share. This post will be a little longer than usual, will contain more photos than usual (Iceland is just too beautiful) and even contains some exciting life updates, so please do stick around if you have a few moments to spare. As always, thanks for visiting. I can’t say that I went on a four-day trip to Iceland planning on baking a pie there. It happened something like this. Levi and I flew to Iceland and met up with Maggie and José. It felt like the dead of night when we landed at 4:00 am and the sun wouldn’t rise until nearly 10. We sort of functioned (and I sort of napped) until the Laundromat Cafe in Reykjavik opened up and served us pancakes. One of our missions for this first long day was to stock groceries, mainly breakfasts for the next several days at our AirBnB. I went to peruse the fruit selection in the store, thinking perhaps that a pie might be feasible…maybe an apple pie, something really simple…and that was when I saw these beauties. At long last, I had found the elusive fresh red currant! I knew instantly which pie I would make. It was one that I’d had my eye on during many summer visits to Minnesota, where it seemed like the currants at the local farm were always either almost ripe enough, or the growing season had just ended. 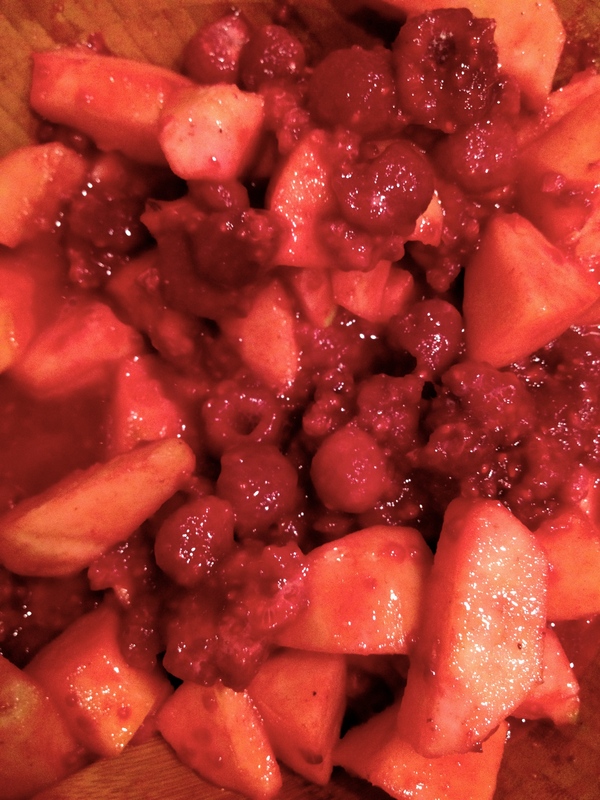 A massive frustration in my pie-making career…and now, the red currants had found me–in Iceland, of all places! 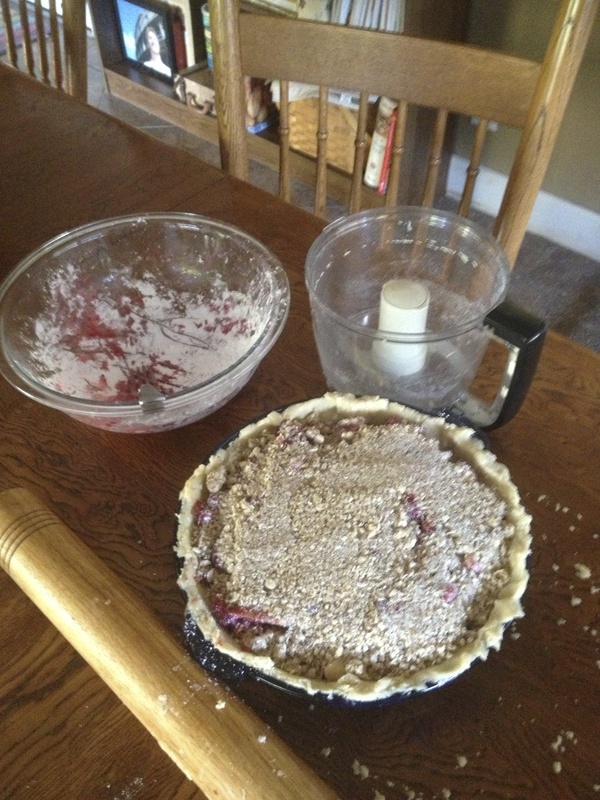 It was time to make New Hampshire Raspberry and Red Currant Pie. Pie-making commenced the following morning with berry-sorting and pastry-forming. 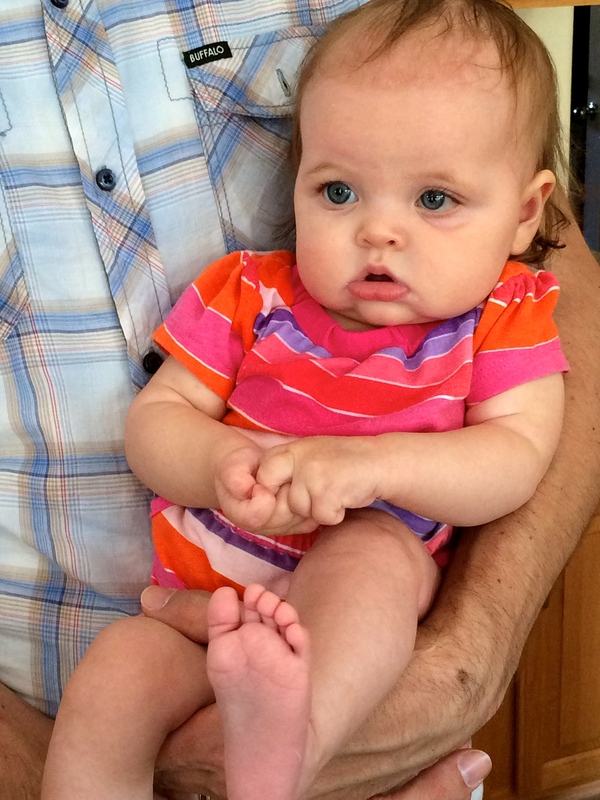 It was a Monday, and I was just over ten weeks pregnant with our first baby. 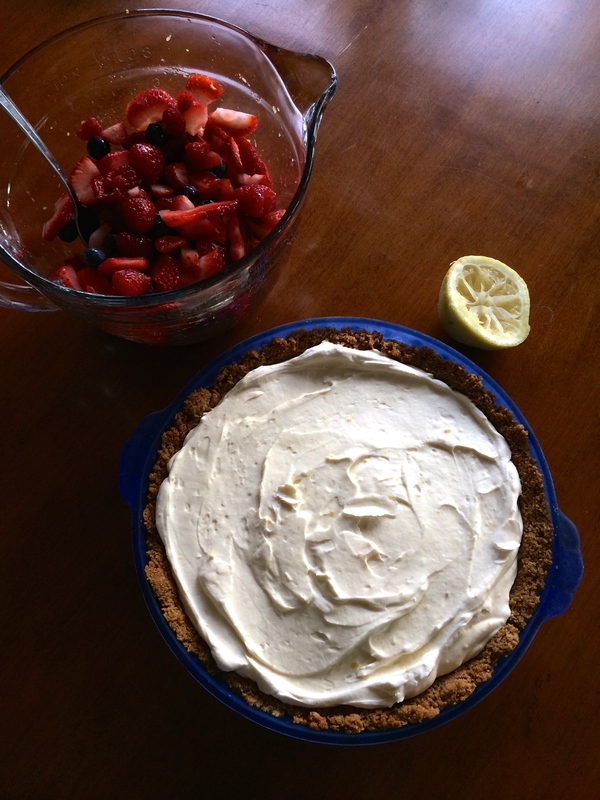 Until I hit the ten-week mark on the day before we flew to Iceland, I’d been struggling pretty hard with nausea, exhaustion, and lack of motivation to do much of anything, let alone bake a pie. Given that context, this experience, and really the whole vacation, felt like a small – no, a large – miracle. I was so grateful. I’m fifteen weeks pregnant now, due in mid-June, and my belly isn’t quite as tiny as it is in the photo above. As our baby grows and I talk to her/him more and more I am also growing more and more excited for the adventure that awaits. I look forward to showing this new little person how beautiful the world can be, how to have faith when things are scary, and how much they are loved–by Levi and I, by our incredible friends and family, by God the Creator and Jesus the Savior. 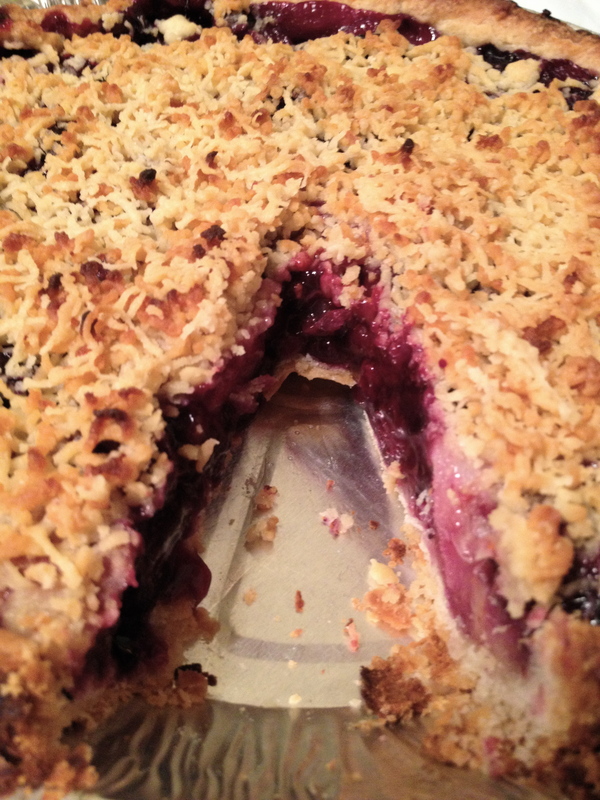 José had never made a pie before and was a devoted sous-chef/student throughout the making of the red currant pie. We still haven’t quite determined the best Spanish word for pie, so we went with “pastel”. José has been writing “Amigos 2017” or some variation of this on cakes all year and I think he was excited to be able to write it on a pie for the first time. “Amigos J, L, M, J”. Unsurprisingly he put himself last. He is that kind of a person. This sounds too poetic to be true, but after we chilled the finished pastel in nature’s icebox (our deck) for about half an hour, we ate this perfectly sour-sweet treat under the green glow of the Northern Lights. It was a night I will never forget for as long as I live. I always say that pie is for sharing, and it’s definitely for sharing when you’re only baking for 4.1 people. We left a large slice for our AirBnB hosts and I was even able to wrap up a few pieces and smuggle them back to Chicago, our next stop, where we celebrated Thanksgiving with my family. Everyone was able to have one or two bites! A little more of Iceland–just because. 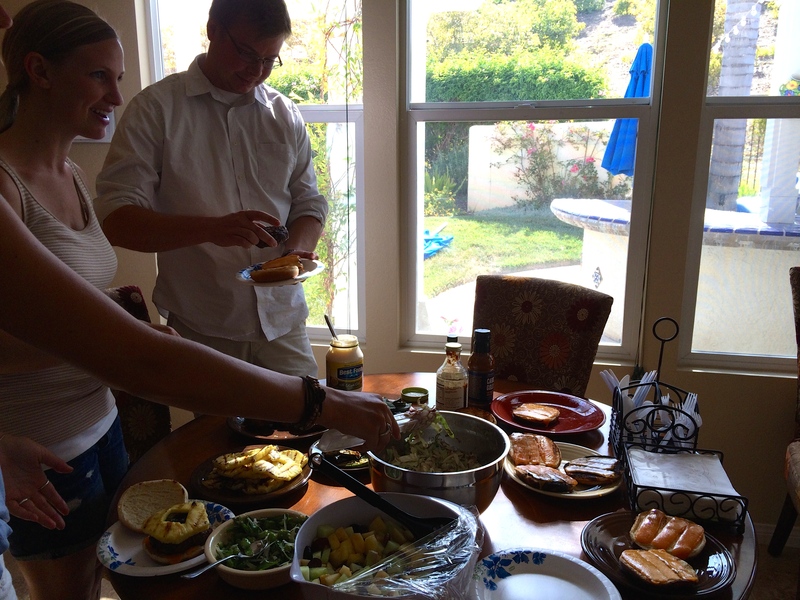 A peek back at our beautiful Memorial Day meal this past May! 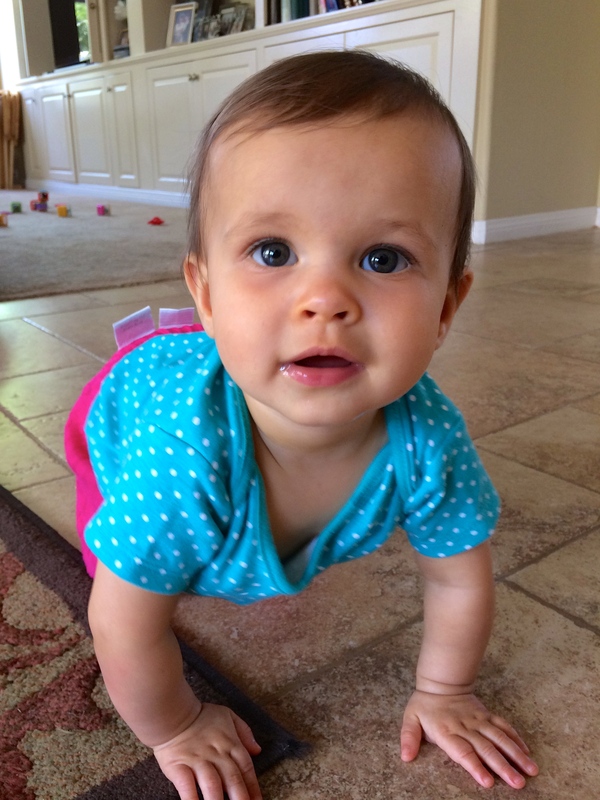 Emery is walking these days! 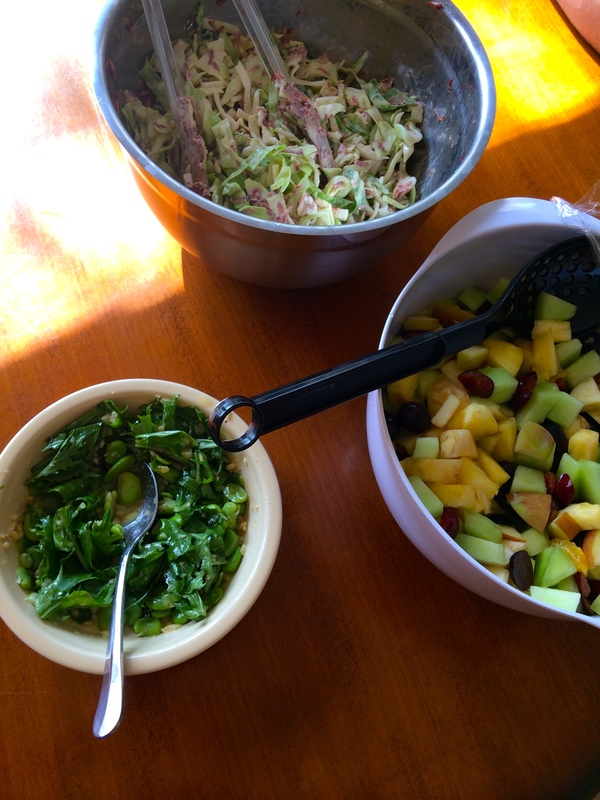 A trio of delightful salads: fruit, Fava Beans with arugula, lemon, and garlic, and Bobby Flay’s creamy coleslaw. Zoe just keeps getting cuter. A bountiful table; we are blessed. 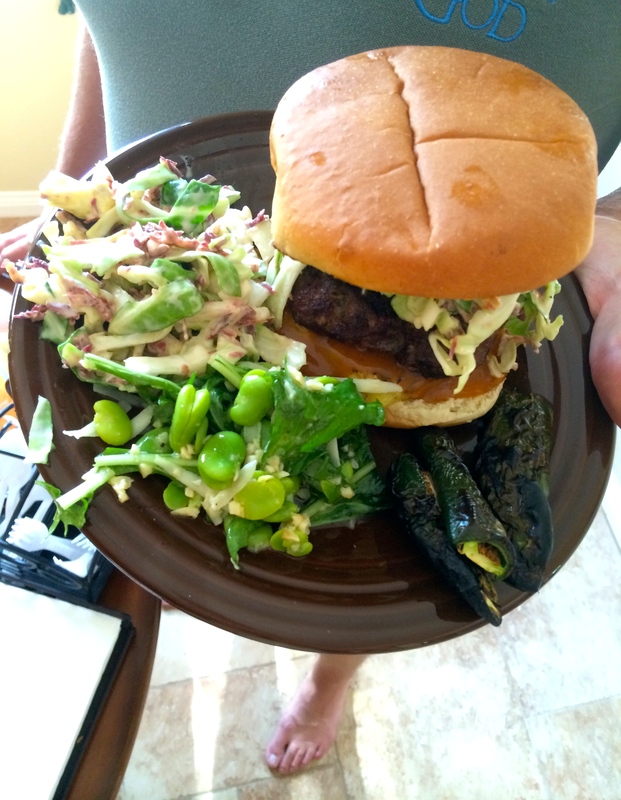 You’re allowed to put barbecue sauce, grilled jalapeños, grilled sage, cheese, AND coleslaw on your burger. We promise. The pièce de résistance: Mascarpone Ice Cream Pie with Sugared Berries. 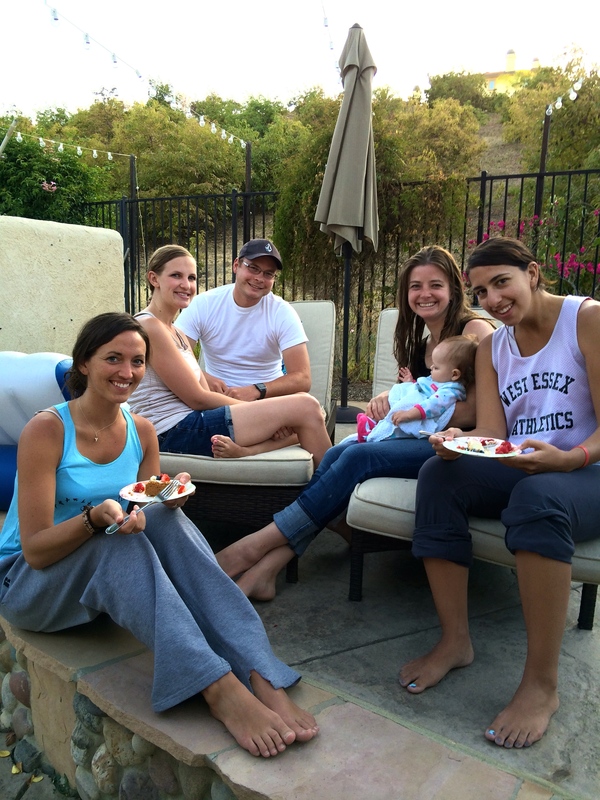 Loved spending time with Ruth Ann and James, Drew and Kelley, Zoe, Erin and Dave, Emery, Janine, and Alyssa. A very happy beginning-of-summer memory! It’s March already? You’ve got to be kidding me. Let’s get down to business. 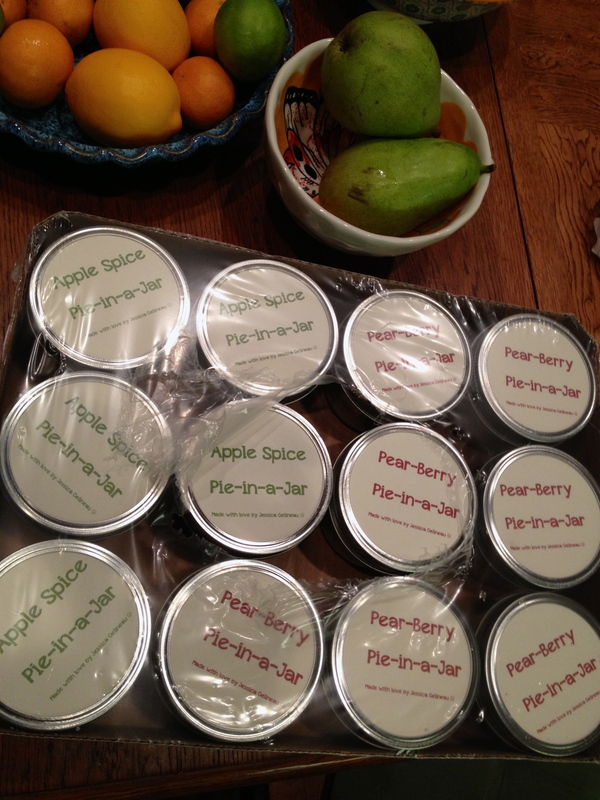 First of all, I would like to announce that the Five-Spice Pear-Apple pies I mailed out during Thanksgiving week made it safely to their destinations. Ironically, I’m pretty sure that standard mail to Australia is faster than priority mail to Georgia, Illinois, or Virginia. What in tarnation?! Lesson: The United States Postal System is an abject failure. You are the greatest thing! Eric, you are the greatest thing. Following that mini-pie episode, I embarked on another of epic proportions before Christmas, making about 30 pies to give as holiday gifts to the wonderful and devoted teachers I work with and some of my faraway family in New Jersey and Georgia. The next two fillings were my own made-up combinations. 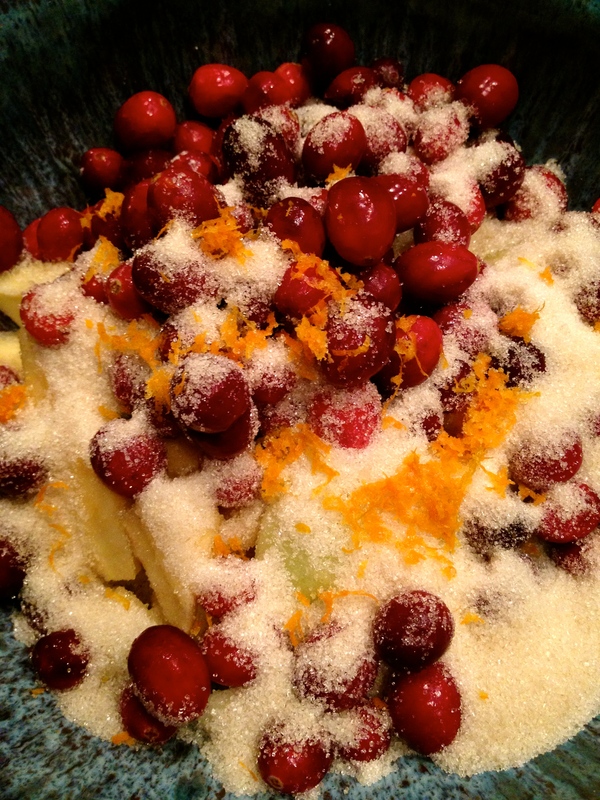 Here’s the Cran-Apple Spice; I love how beautiful the fresh cranberries are and the sourness they bring to the table. I choose sour flavors over sweet every time and I have to say that I thought this pie was a win-win combination of both. And here is the Honey-Apple-Raspberry filling, looking like a bit of a mess. But yum. Mini-pie manufacturing is no piddling job. By the time you make multiple batches of crust, a few fillings, crumbs for the topping, labels for the tops…you’re looking at a long night. The three pies below traveled not by car, not by mail, but by carry-on. This conversation happened. TSA agent: I’m going to have to re-run your bag, miss. Me in my head: Crap. TSA agent: What are these? Would this have happened at any other time besides Christmas? Doubtful. But I loved it. I made another Honey-Apple-Raspberry filling (since they had been pretty popular the last time ’round) and a Blueberry-Pear filling with cardamom and maple syrup, both my own recipes. I think I have figured out a pretty exact ratio for mini pie filling; the amount of filling that would fit into one largish normal pie fits roughly into nine jars. Okay, perhaps “exact” isn’t the right word, but it’s a helpful rule to follow. So the filling below made 18 mini pies. And the filling overflowed, so I really could have done 19, or 20. This was the first year I was able to see the bake sale in person (and I forgot to take any pictures, wouldn’t you know!) By the time I got there, the sale had been going on for perhaps two hours and most of my pies were already gone. I hope they were thoroughly enjoyed. Thanks so much to those who bought them or supported the Palm Springs bake sale in any other fashion. Over $1600 was raised for the Christadelphian Heritage School! As always, thanks for reading. 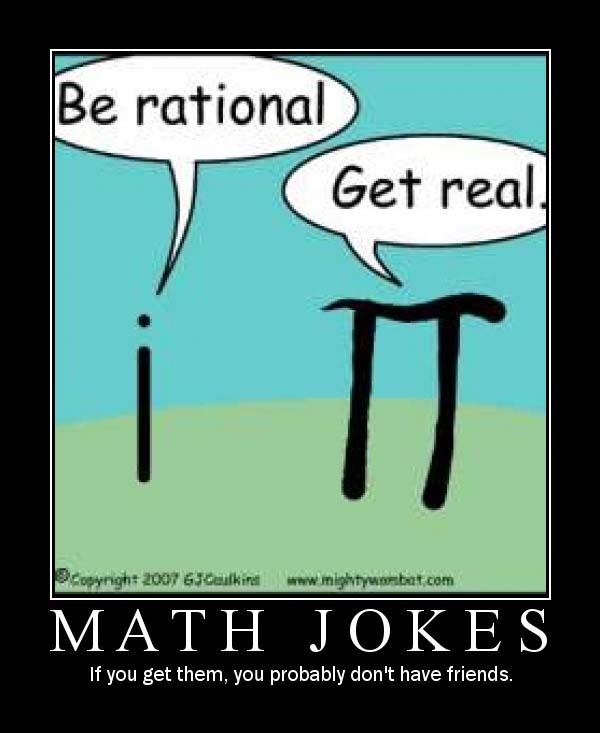 I’ll leave you with a reminder…PI DAY IS NEXT FRIDAY! Let me know if you’re planning on celebrating. Jess went back “home” to New Jersey for a weekend. 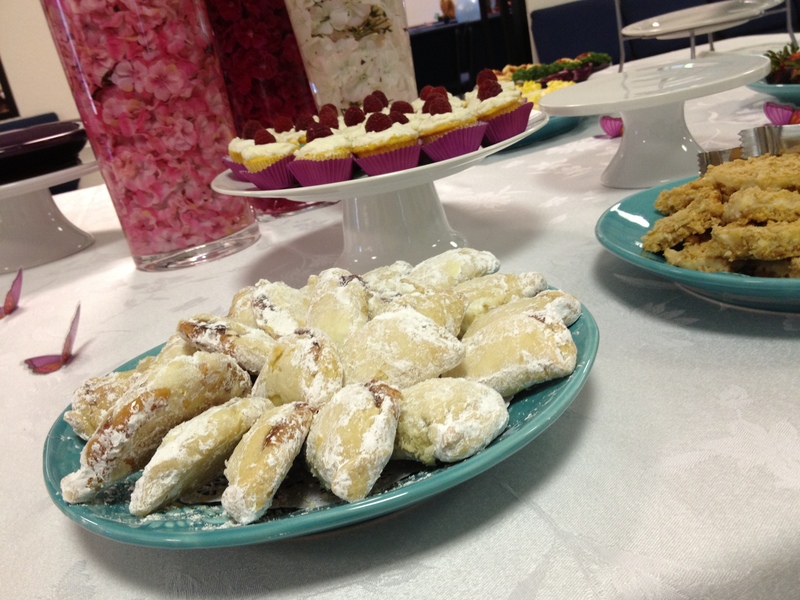 An unfortunate coincidence was that this was the same weekend as our Church’s Dessert Bake-Off. 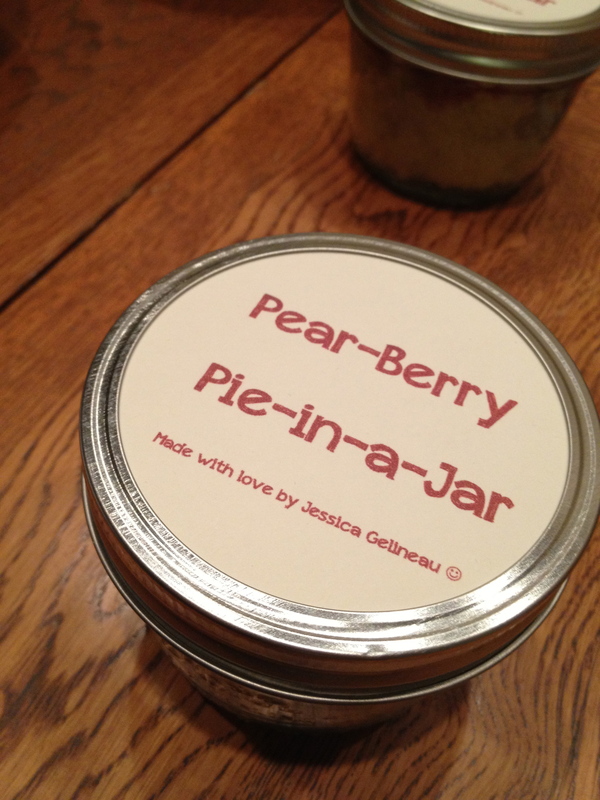 All our friends assumed Jess would dethrone the reigning champ with one of her pies. 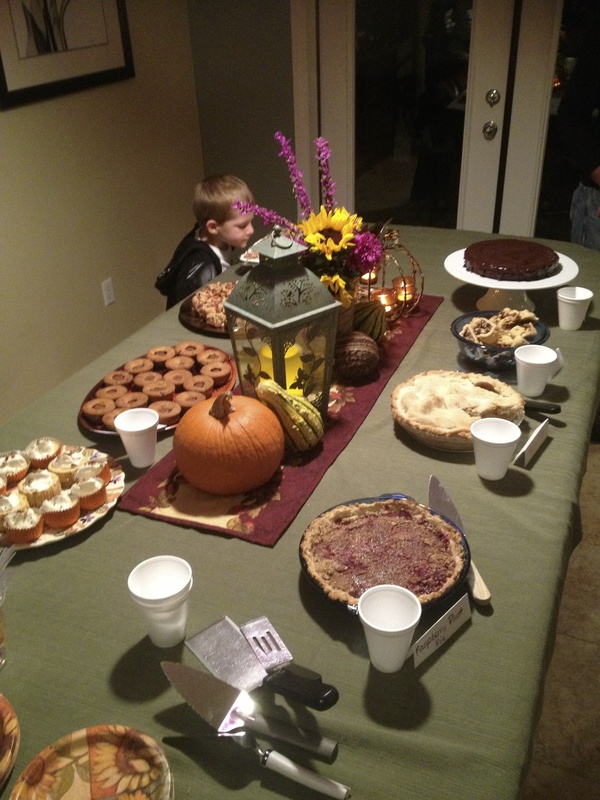 They breathed a collective sigh of disappointment/competitive relief when word got ’round that a Pie would be missing. 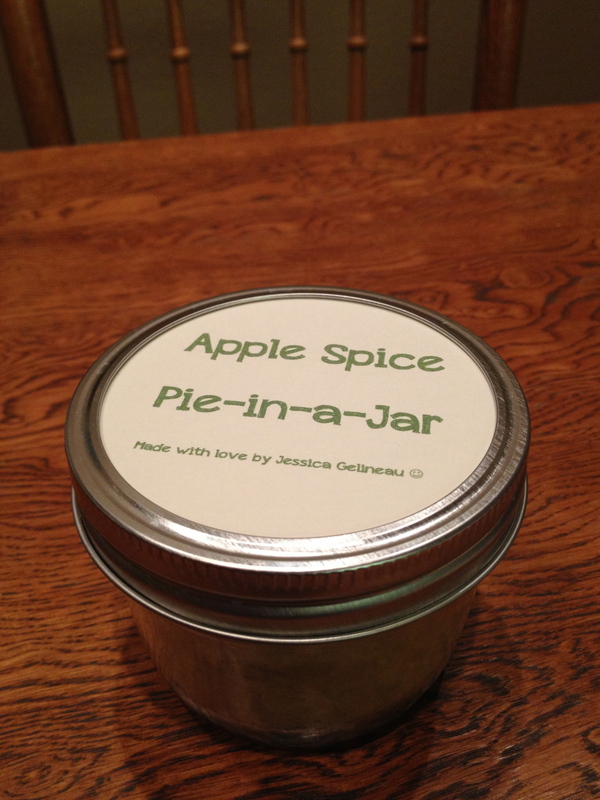 Jess decided that instead of not entering a pie, why don’t I, the Pie Man to her Pie Woman make one. Jess is a woman that is profuse with consistently fantastic ideas, so, I dutifully followed her suggestion. The Dessert Bake-Off would have a pie from a Gelineau after-all. I have seen a few pies made in my life (like, 120 or so) so, I was clear on the basics. 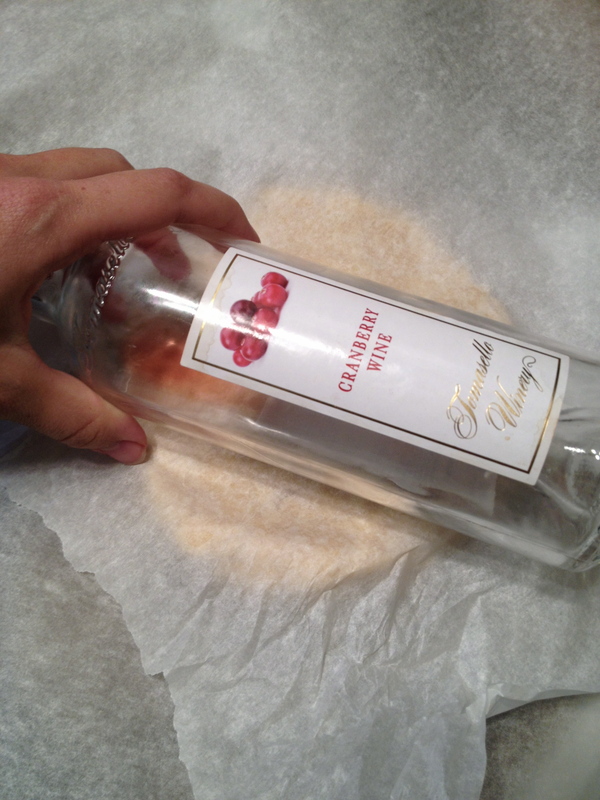 From one layman to maybe another, here’s the step by step for us the NORMAL, casual, pie bakers. 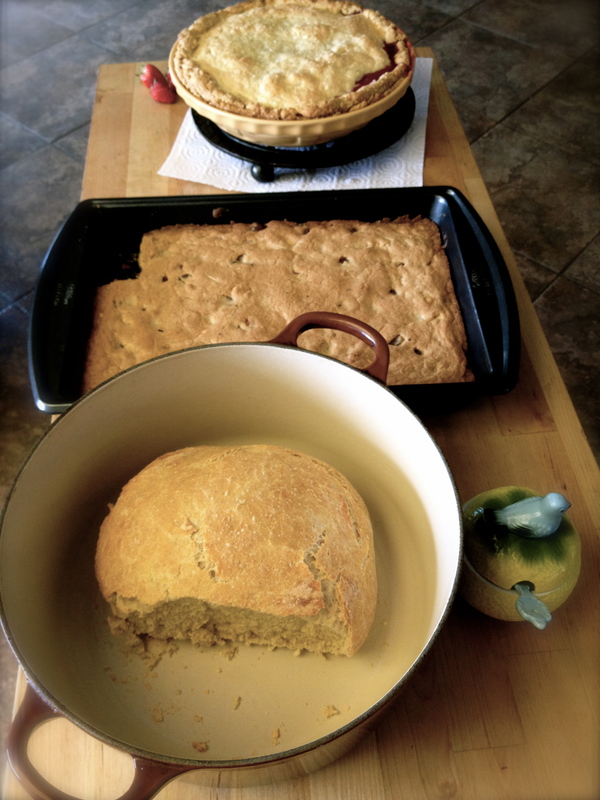 Crust Into Dish…. 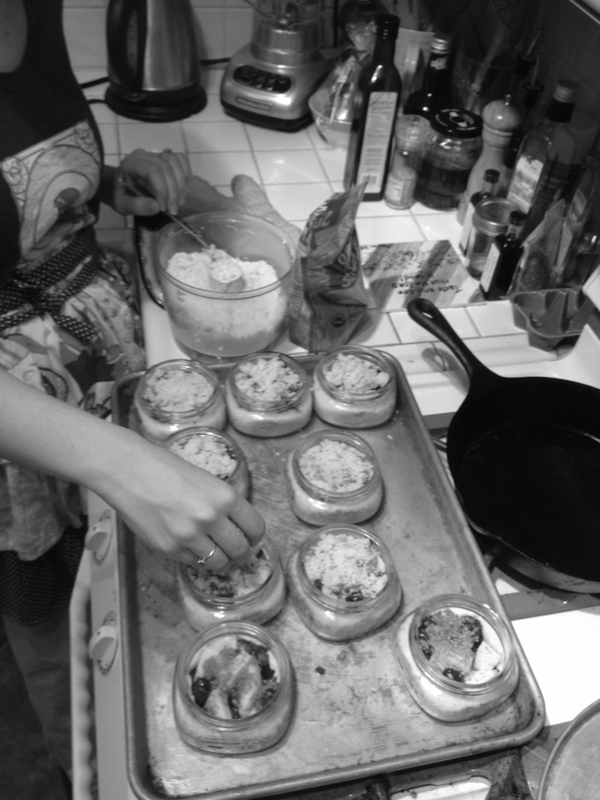 Okay, crust isa hard part, and to be honest with you, Jess made that part for me ahead of time. I am only one man. 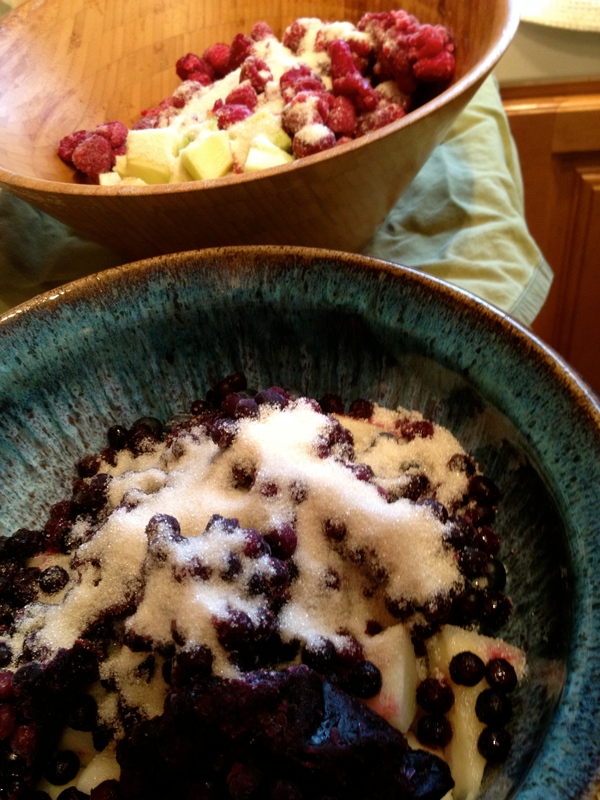 Sugar on Berries, Makes ’em good. 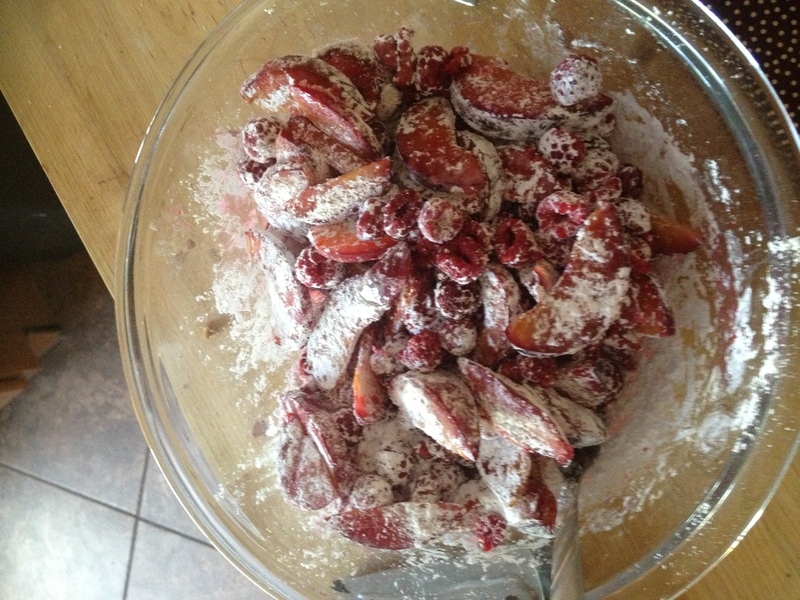 Surround the sugared berries in a cloud of a starch. Pitch that happy family into the crust. Cover the fruit with some more carbs. Bake until it looks like you may not be able to resist eating the whole kit and caboodle. I was happy with how it came out, and wished it luck at the competition. (Note the sage and discerning Judge in the background). The Man Pie came in second place! I mentioned in my last post that there is often not enough pie to go around at the Camp. And it’s true. 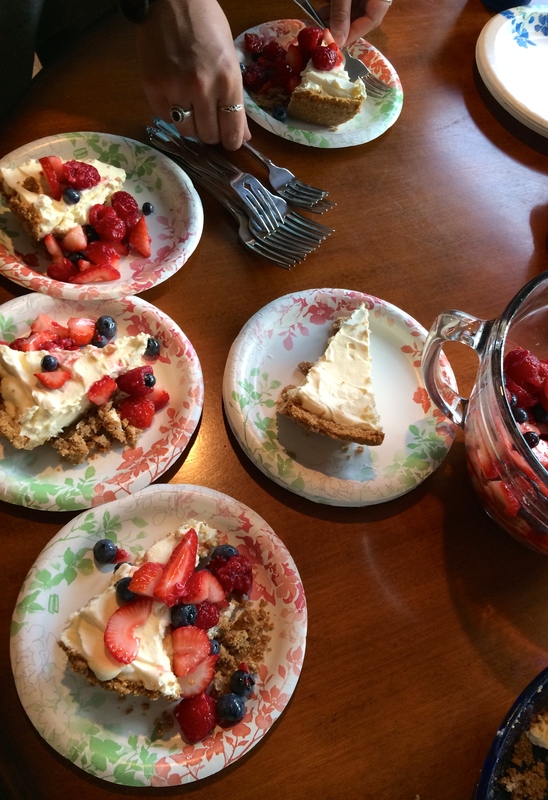 If I had an abundance of time and fruit trees, I’d feed pie to everyone every day. Since the sad truth is that I cannot produce pies at this rate, the distribution of available pie sometimes turns into a rather covert affair, including late night rendezvous, fork-fights, and sometimes even bribery. 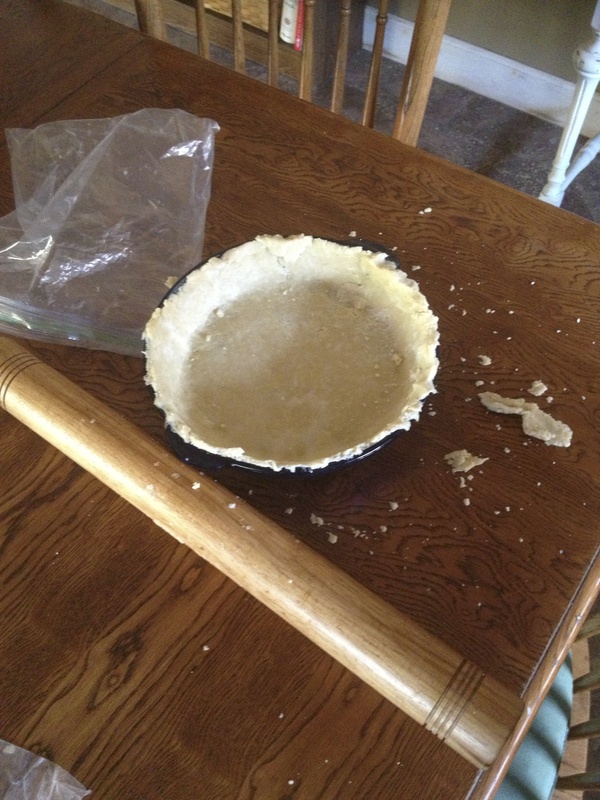 Can I just say that it is extremely difficult to keep pie crust from browning in a very tiny and very hot oven? 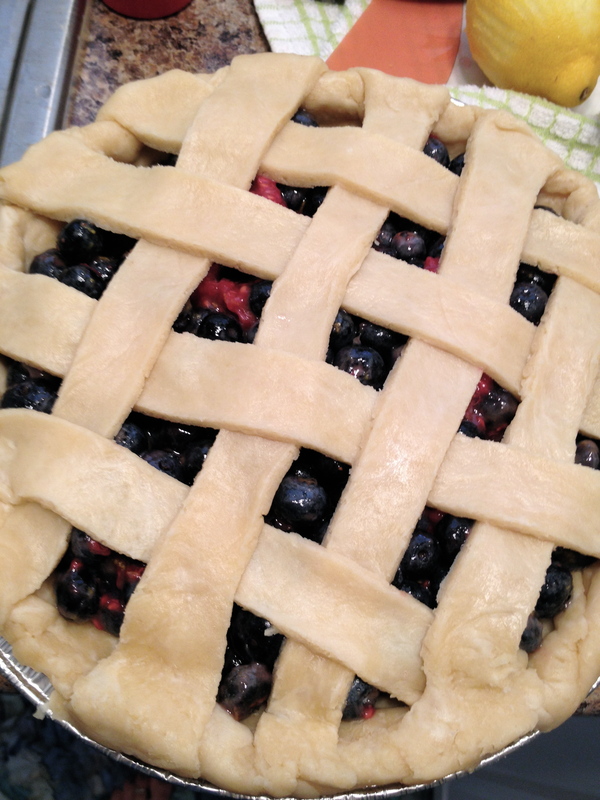 And can I also say, I’m getting pretty proud of my lattice-weaving abilities. A little crooked, yes. But steadily improving. 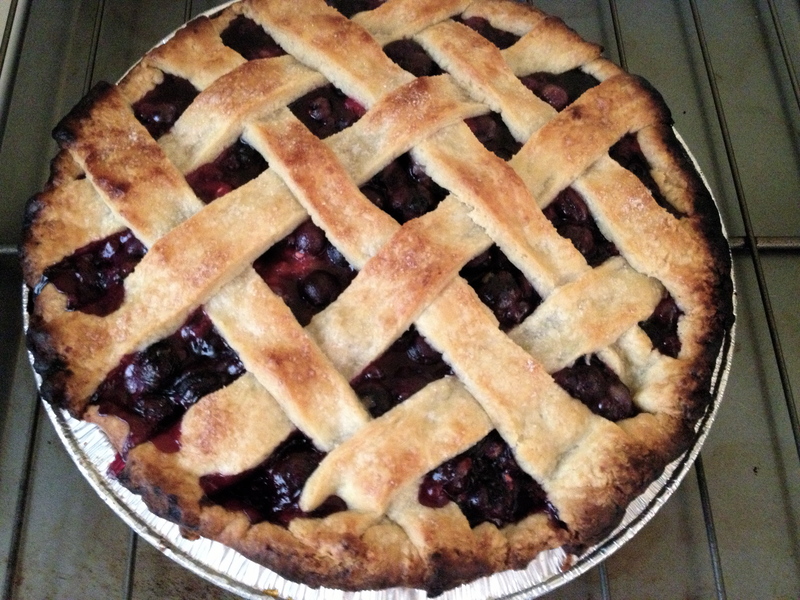 This pie was also largely berry-based, but had a healthy helping of white peaches in it too. I got fancy with the top crust here and grated it with a cheese grater, the way Ken taught me how to when I made his Rainier Cherry Pie. This is Rick Szabo. 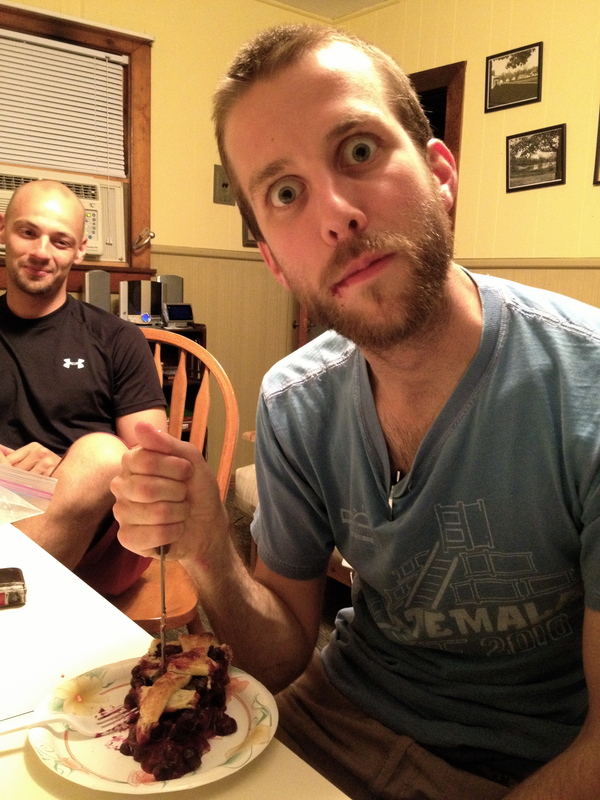 Pie is his self-proclaimed favorite thing. I guess the secret’s out now. Onesimus attendees, you now know something that you may have suspected and feared already…namely, that your teachers and cooks don’t go to bed early. They stay up and eat pie. Without you. Sorry about that. Suffice it to say that this pie did not survive the night. Now, let’s turn our attention to Mr. Grated Crust. He was being enjoyed a sneaky slice at a time by various friends and relations. 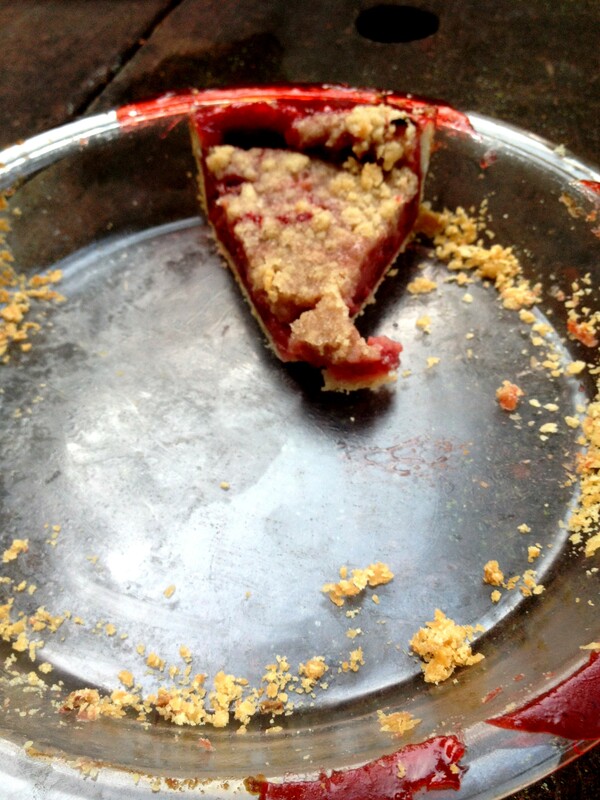 Sometimes when you leave part of a pie in your cabin, you come back to find that it has greatly diminished in size. 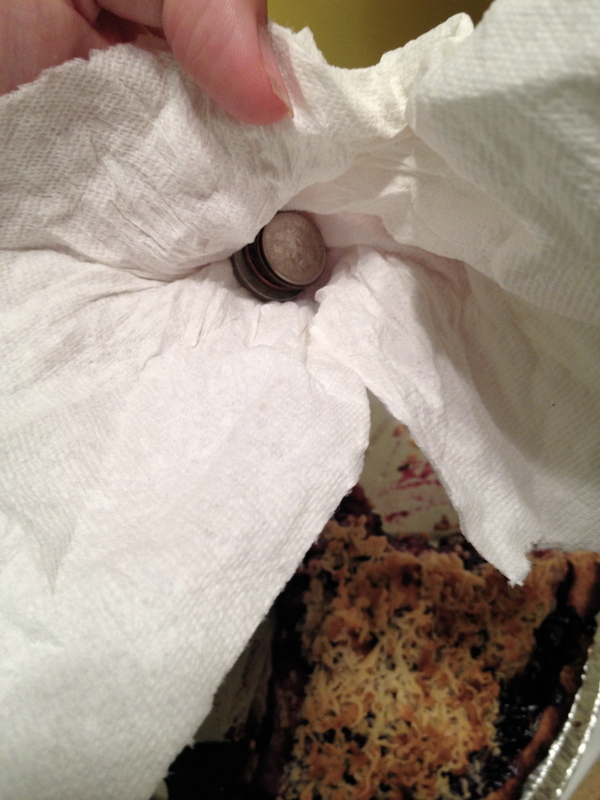 In this instance, the pie thieves left a thoughtful payment of pocket change wrapped in a paper towel, placed neatly in the then-emptier pie pan. What kinds of things have you done to get your hands on some pie? In the recipe for Little Preserves and Finger Pies it was suggested that these pies are great for kids to make. Well, heck. Mine turned out oozy and lopsided enough to really make me wonder what they would look like if they were made by children. Mostly, I think my problem here was greed. 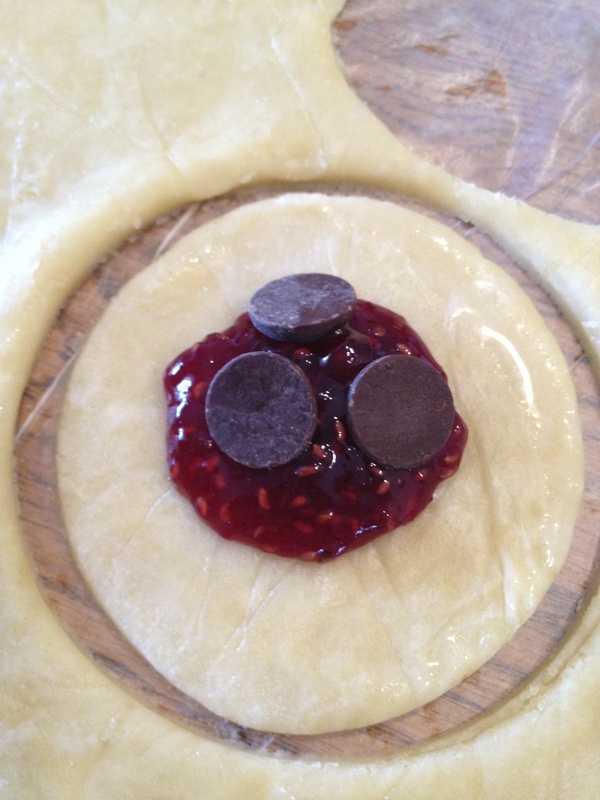 The more raspberry or strawberry preserves and dark chocolate chips in each little pie, the better….right? Wrong. Once the jam oozes out the rim, it’s like the kiss of death. That jammy spot will never again seal up properly. Luckily, looks don’t have much to do with taste. I had to tone down the amount of filling just a tad from what the recipe suggests in order to be able to seal these little babies up. 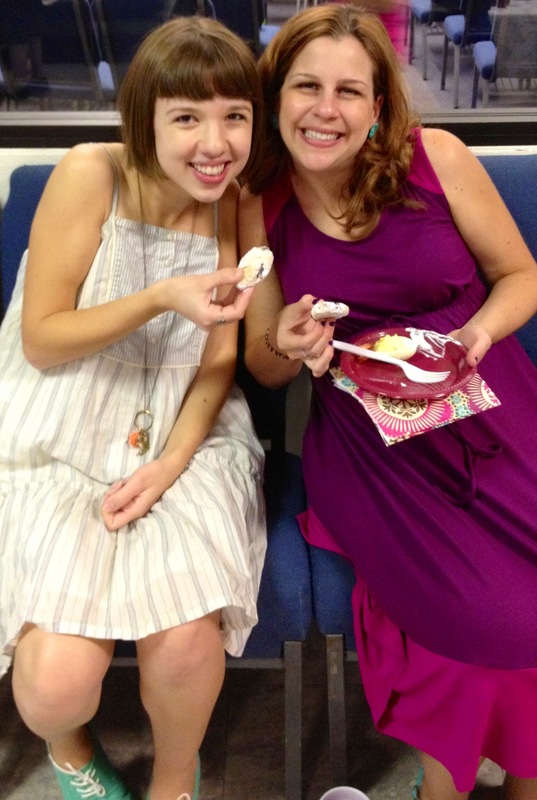 Speaking of little babies, these pies were destined for a very special event…my good friend Erin’s first baby shower! One of my favorite things about my pregnant friends (and by favorite things I mean things that really make me laugh) is how hungry some of them get. Erin is a quality example of this. She basically doesn’t ever stop eating these days. 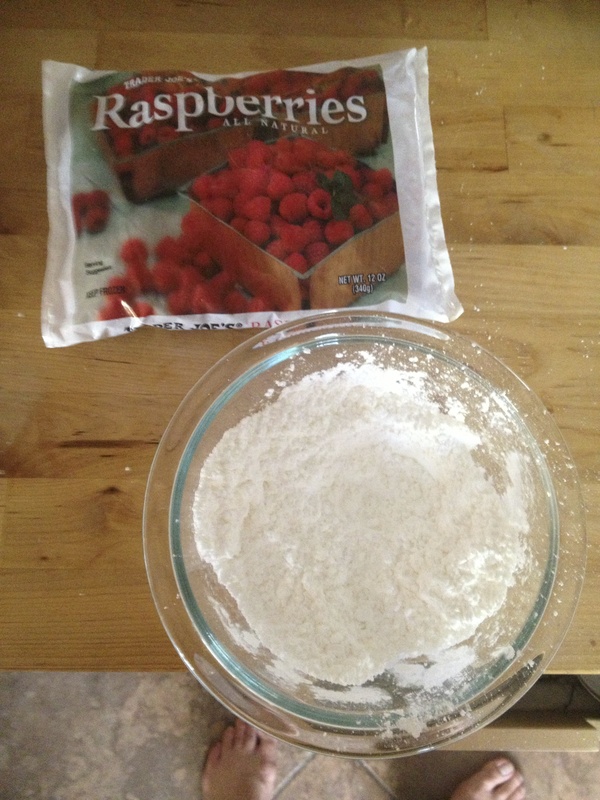 Something fun about these pies is that when they’re still warm, you get to roll them around in powdered sugar. Then they look super delectable. Here they are with all of their other sugary friends. 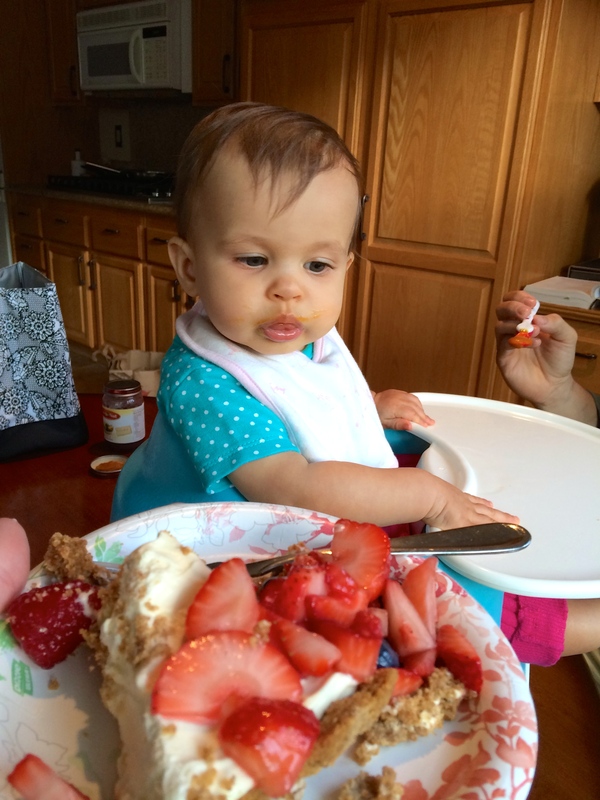 Here are me and Erin and her baby girl enjoying some baby pies. Can’t wait to meet you, little one! 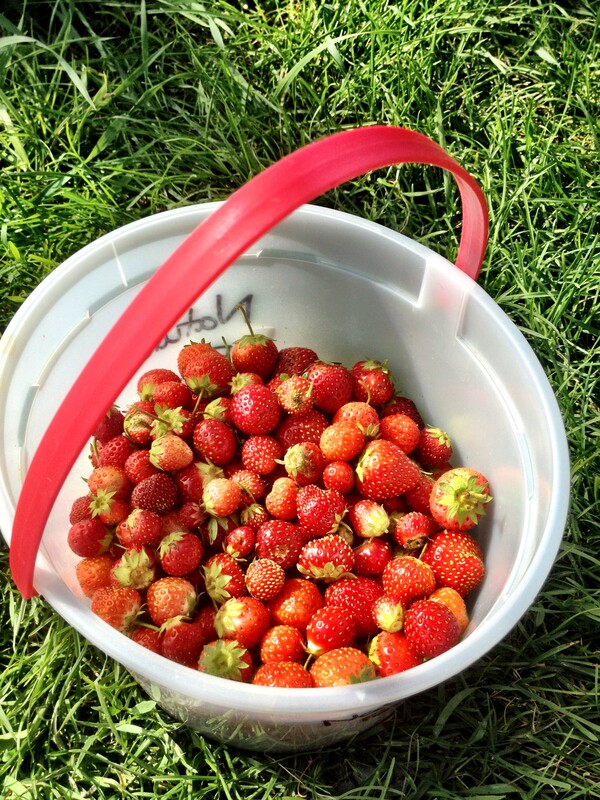 And here are some strawberries from our garden to prove it! 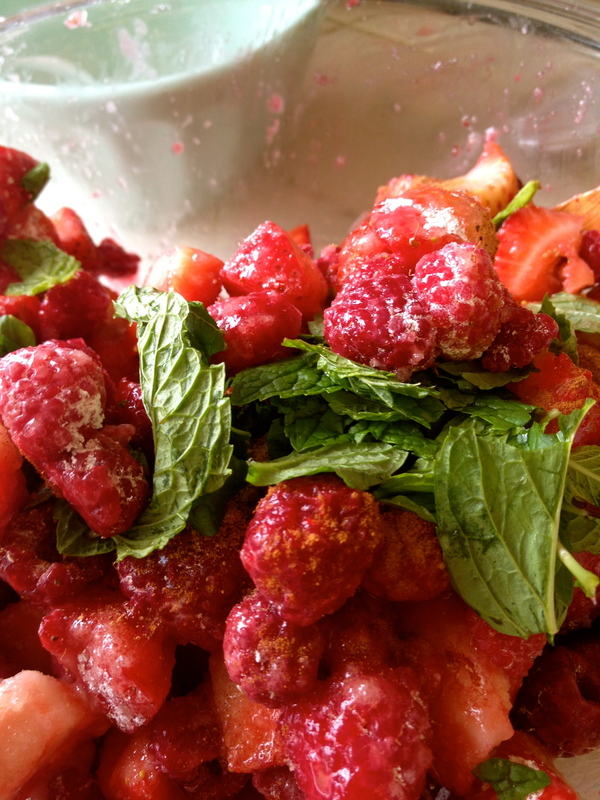 While I was making this Strawberry-Raspberry Mint Pie I just couldn’t stop taking pictures of the colorful filling. 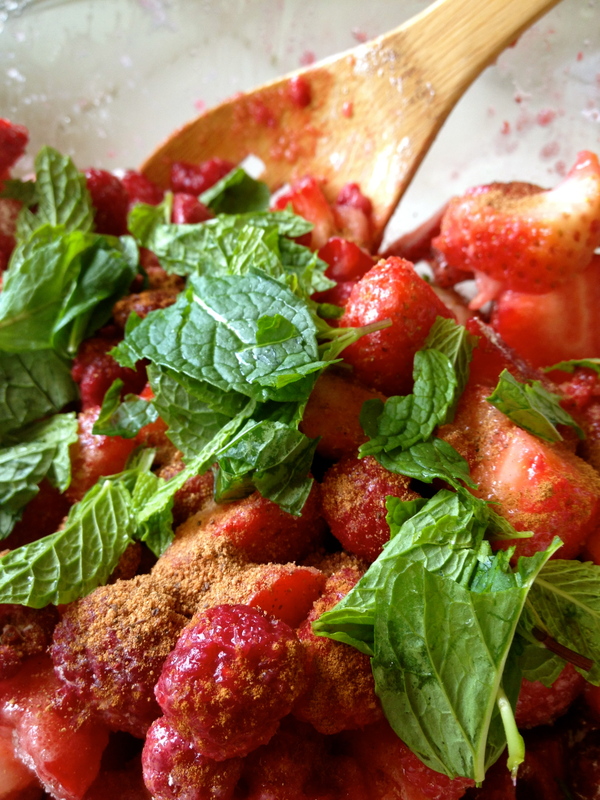 I love all the different textures; the powdery spices, the bumpy raspberries, the dotted strawberries, the wrinkled leaves. There’s just enough mint in this pie to give it a super-interesting depth of flavor. You don’t really taste mint as a separate flavor; you just notice a coolness in your mouth after each bite. 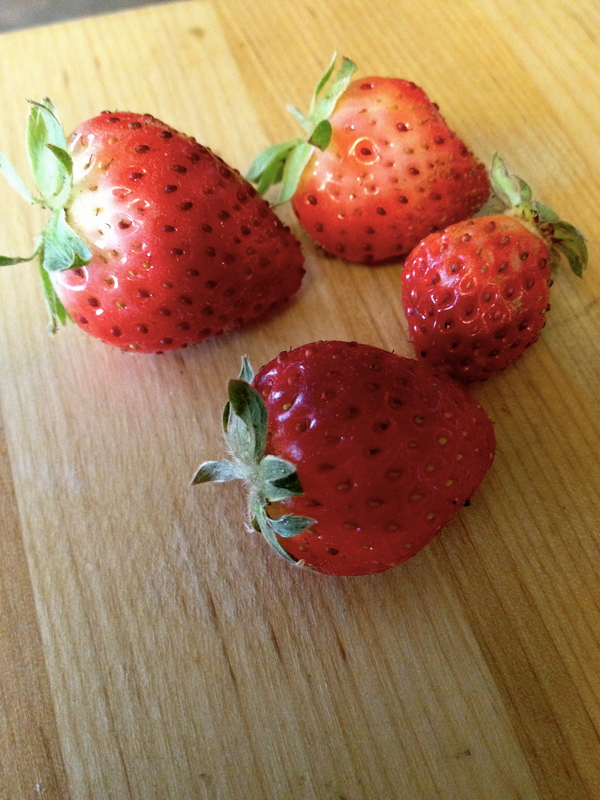 Here are a few quick facts about strawberries that you may or may not already know. 1. California grows 80% of the strawberries in the United States, and our strawberry season starts early, at about the end of March. 2. Strawberries rot when they touch the ground. That’s why they’re called strawberries, because bedding the area around the plants with straw keeps them from spoiling. 3. 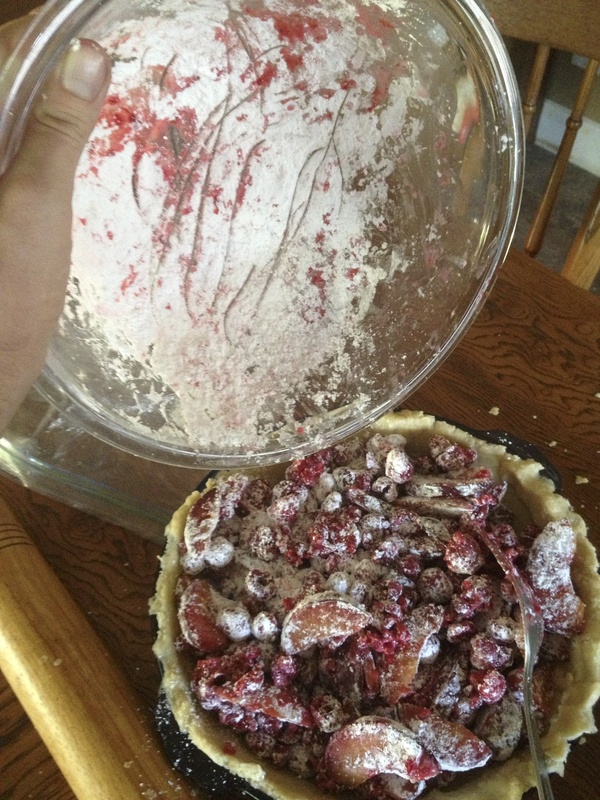 Strawberry pies bubble over like crazy. (I talked about this last summer.) It’s not quite as dramatic when the strawberries are mixed with other fruit, which is why you’ll rarely find an all-strawberry pie. I baked this pie the morning of Easter Eve (?? You know what I mean.) I am going to take this opportunity to squeeze in a small brag and show you that I also made Chango Bars for my second grade class and bread at the same time. Boom. And then we went to the airport to pick up my Aunt Sarah, Uncle Joe, and cousin Matt from Minnesota! It was Matt’s spring break, and he very wisely had decided California was the destination of the year. 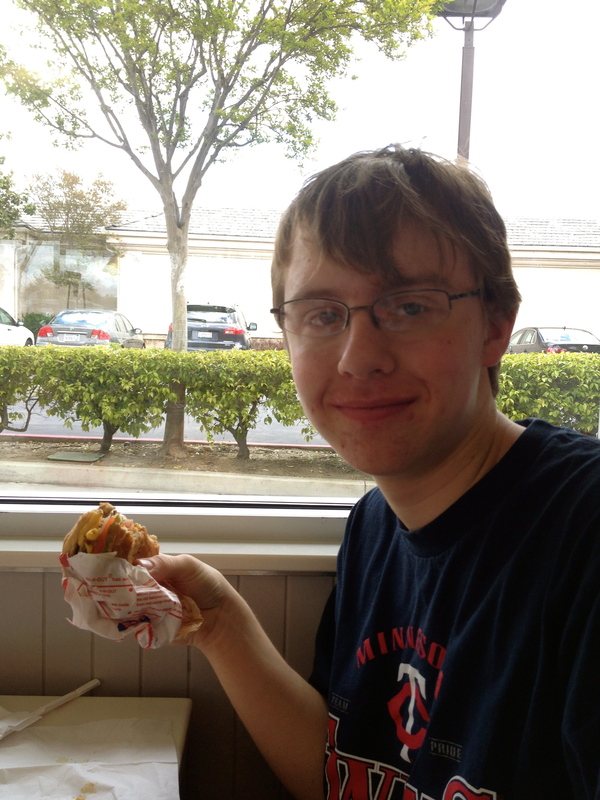 We fed him lots of In-n-Out burgers to ensure that he’ll come back soon. Here’s the pie, all dressed up for Easter Sunday. The pastry here (Tender Cream Cheese Pastry) is my favorite from Ken Haedrich’s cookbook*, and it just gets even better with a little powdered sugar on top. 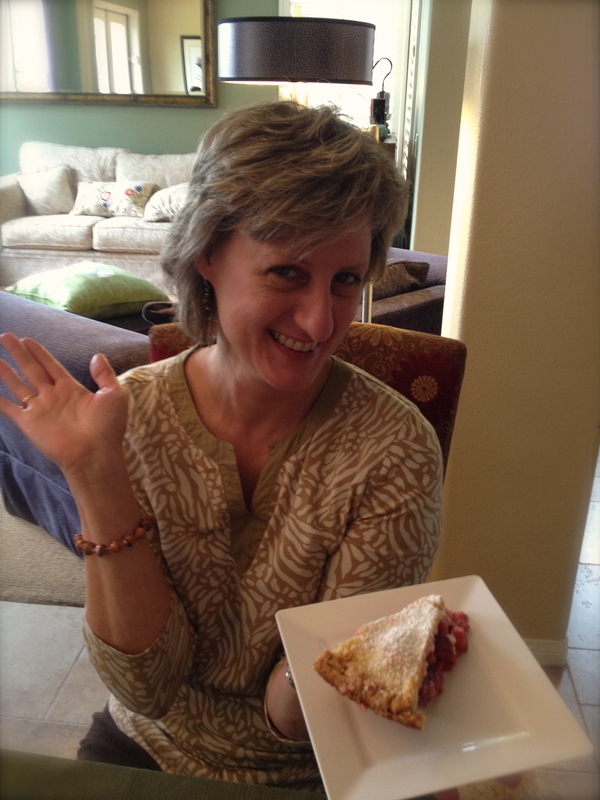 A good pie makes for a happy aunt. *P.S. I know many of you have gotten so tired of looking at my pictures of pie that you have already purchased the Pie cookbook. Good on you. If any of the rest of you are on the verge, let me remind you that it’ll only set you back $21.95 if you purchase it through Ken’s website, The Pie Academy. And it’ll set you way ahead in quality of life. 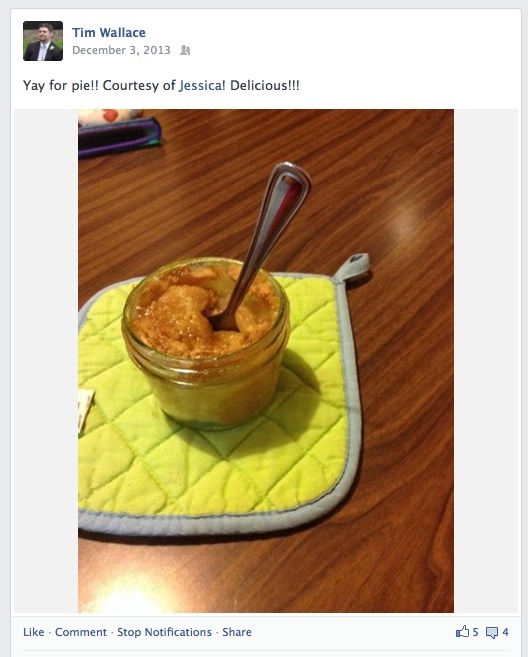 Pie-in-a-Jar is as exciting as it sounds. I think they would hold up really well in the mail. Big question is whether they’ll hold up internationally. Now taking domestic and international volunteers to help me test this theory out. 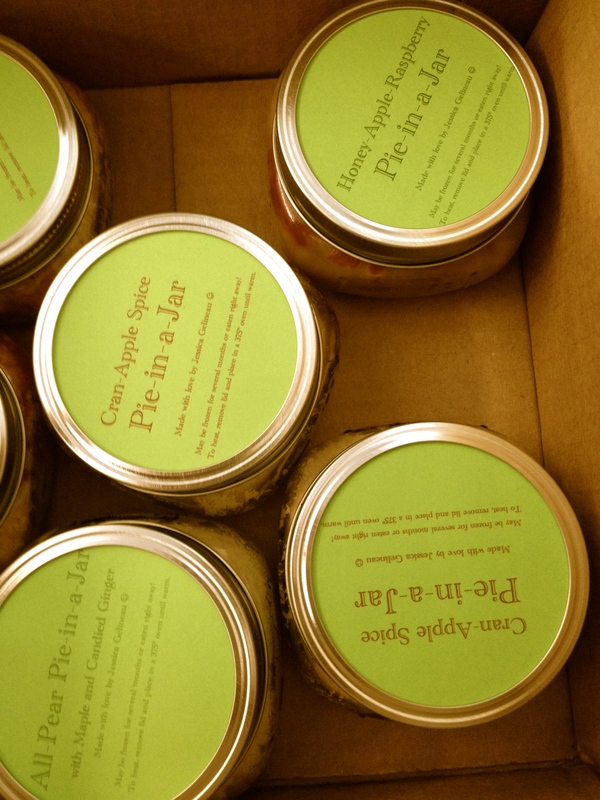 A year ago, I send some normal pie pies (as opposed to pie-in-a-jar pies) to a bake sale in Palm Springs benefitting the school I teach at. You can read that post here. This year, I was asked to contribute again to the same sale. 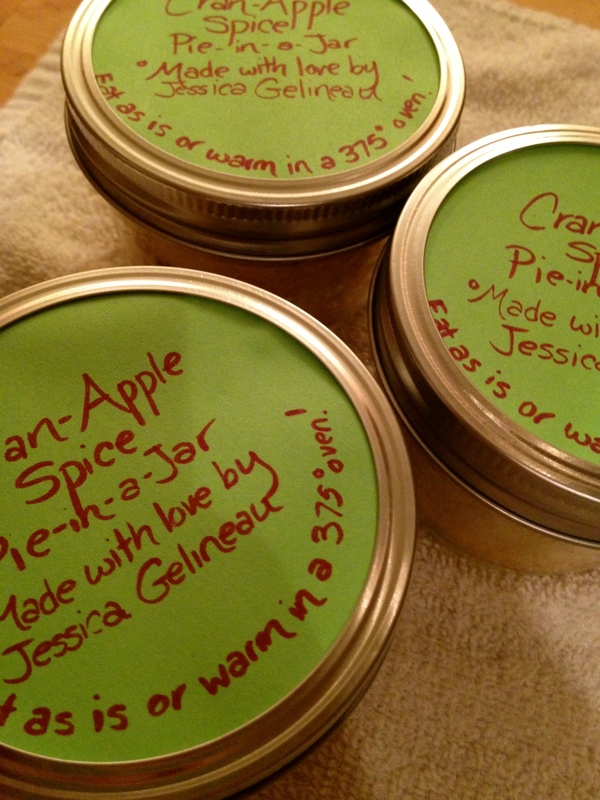 I decided to make mini pies in jars this year after pondering the following key points. What’s better than a slice of pie? A whole pie to yourself. What’s more socially acceptable than eating a whole pie? Eating a whole mini pie. 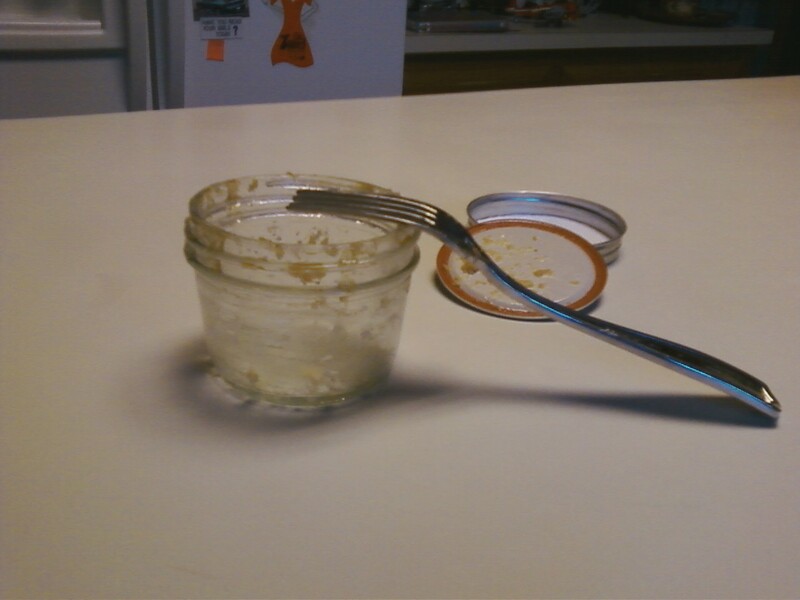 What’s easier to transport than a jar with a lid?…Nothing. 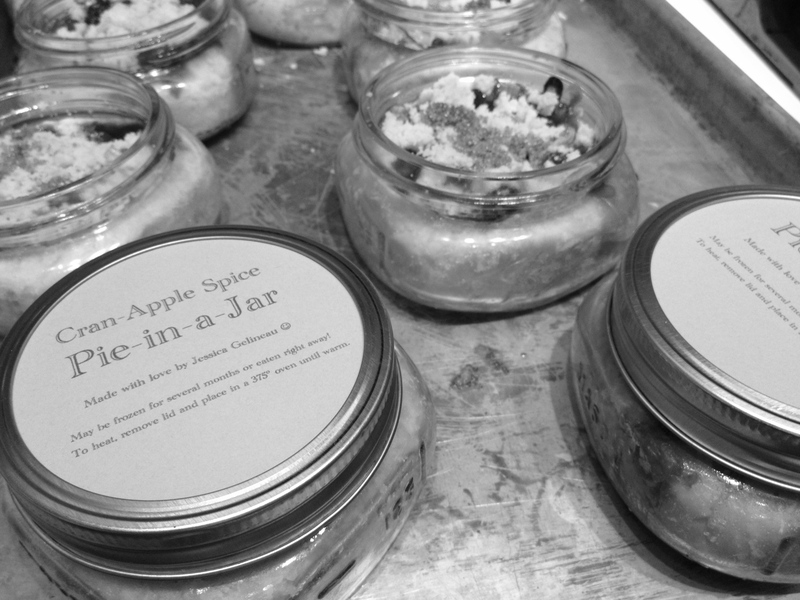 This post from Our Best Bites provided me with some inspiration, and even comes with some rather adorable labels to top your jars with. 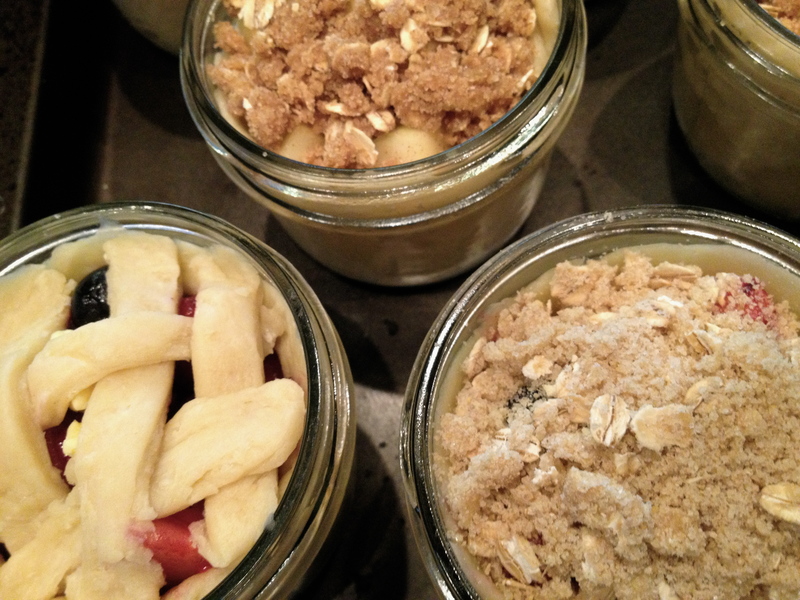 It’s worth checking out if you’re interested in making your own pies-in-a-jar. For my part, I did what I usually do…read some blog posts on the subject at hand, then decided not to follow any of the recipes after all. So, in all accuracy, I probably couldn’t replicate these exact mini pies ever again. I made two types of pies-in-a-jar; a pretty basic apple pie with lots of spices (cinnamon, nutmeg, cloves, lemon and lemon zest) and a pear and mixed berry pie (strawberries, blackberries, raspberries, blueberries, almond extract). I love how they look here, all packaged up and ready to travel! Stories about YOUR mini pie experiences, or questions about mine. Which of the two above flavors you would have purchased had YOU attended the bake sale? 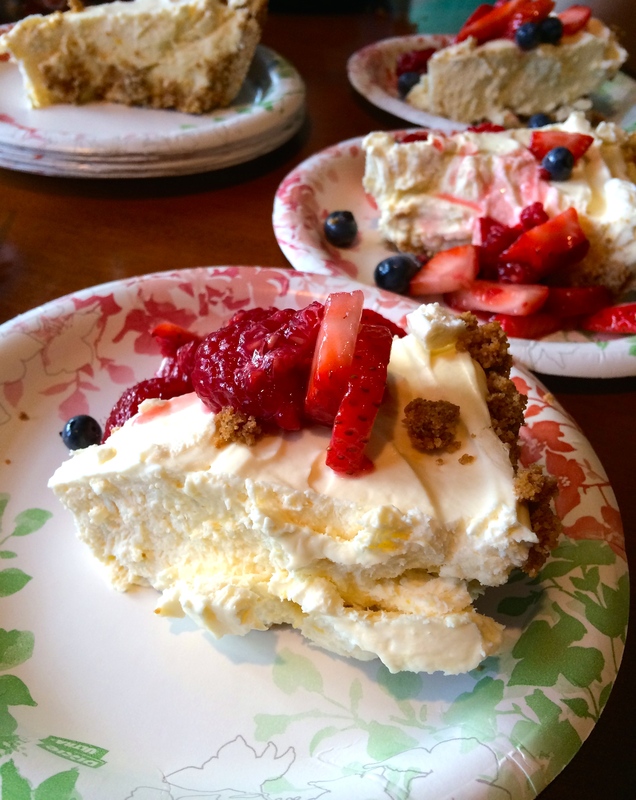 Minnesota, in addition to being the land of lakes, is also the land of pie. 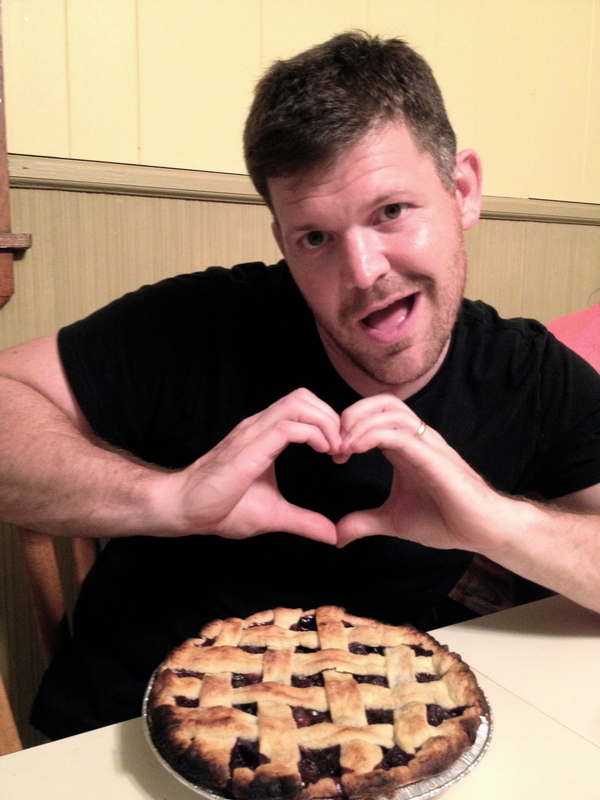 No one here is shy about their love of pie. 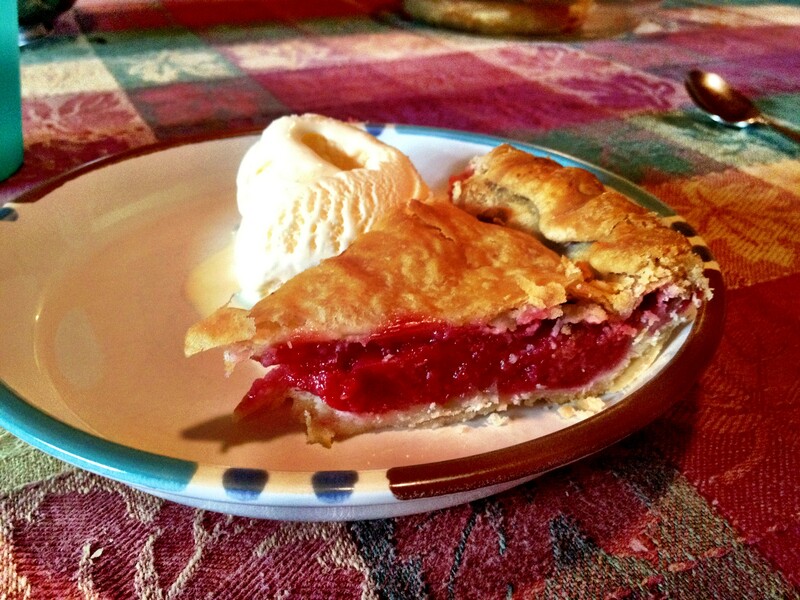 It is not frowned upon to eat pie (and ice cream) after dinner every night. It is my kind of place. In the town of Marine on St. Croix, there is an ice cream shop, a bar, a pizza place, a lovely little coffee shop which is currently providing me with Wi-Fi…but no pie store. HMMMMMM. I sense a summer business opportunity. 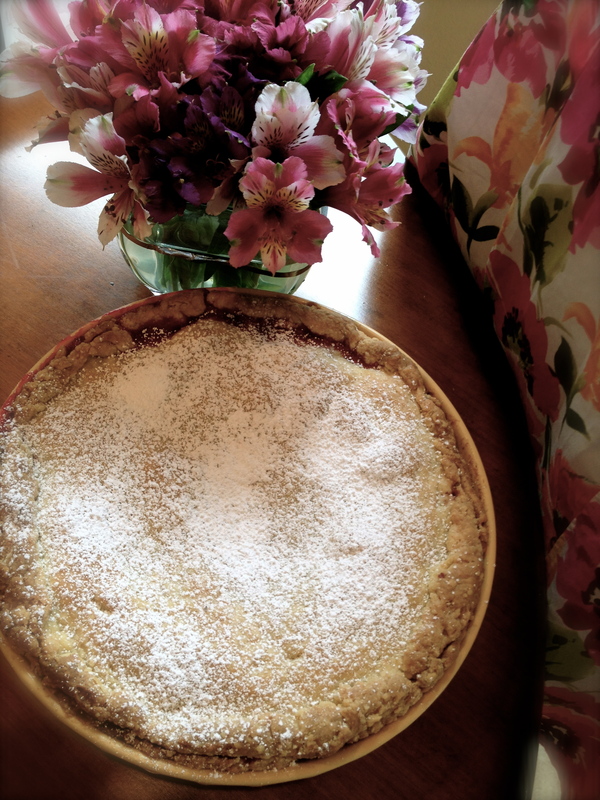 I made a second pie last week, in addition to the All-Rhubarb…a pie that does not “count” in an official sense on this blog. 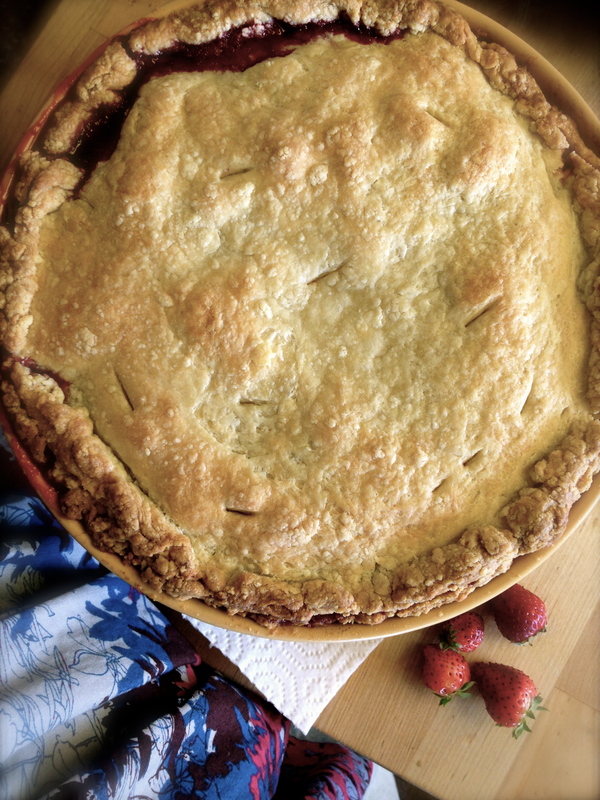 It was an All-Strawberry Pie, and two years ago I was baking a few of them with no measuring spoons and a beer bottle for a rolling pin at my friends Sara, Maggie, and Emily’s cottage. We were celebrating Emily’s upcoming wedding and my 22nd birthday and Levi’s 23rd birthday and our first wedding anniversary and learning how to dance on the rooftop of the boathouse. 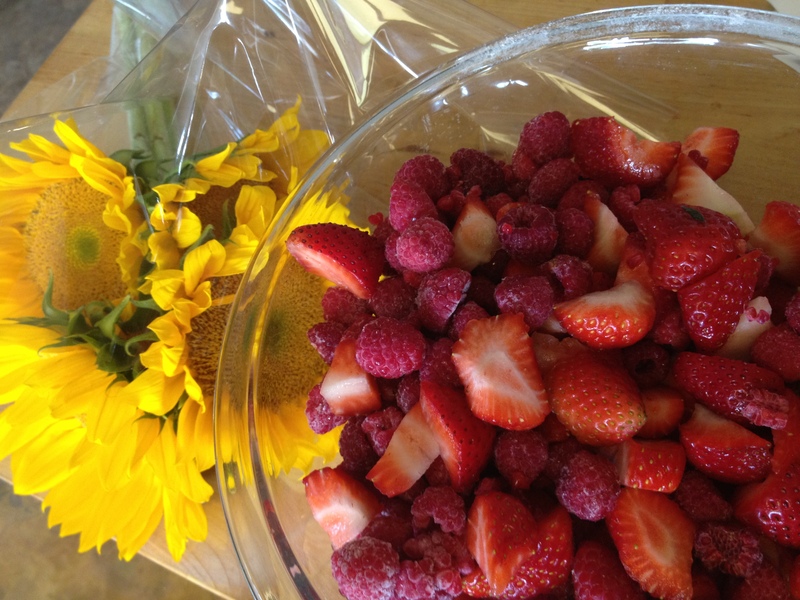 This time, we picked the strawberries (small, almost wild-looking) from a nearby organic farm. Strawberry season is almost over in Minnesota now, and my cousin Matt and my Aunt Sarah and I spent about half an hour searching for the last berries. It was worth it. The recipe calls for a top crust. This time I used a crumb topping. I learned for the second time that strawberry pies BOIL OVER LIKE CRAZY. 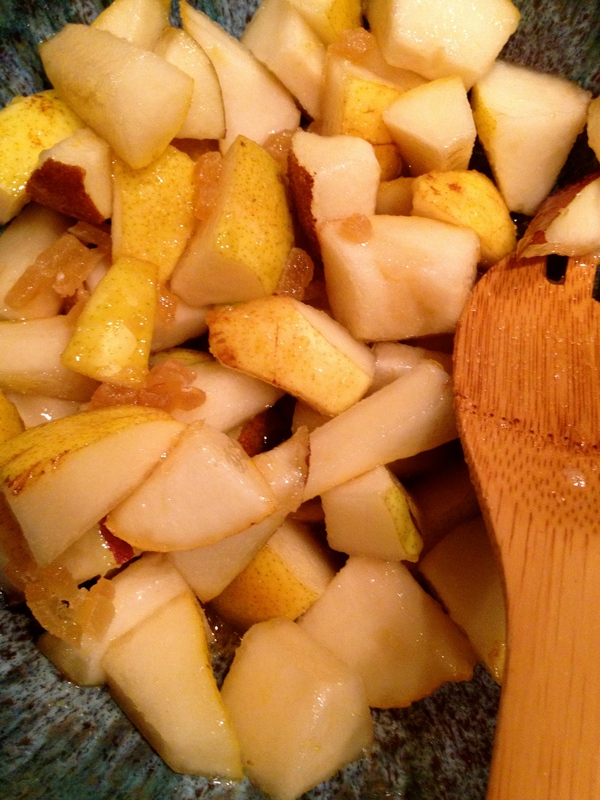 Be prepared–use a cookie sheet underneath. 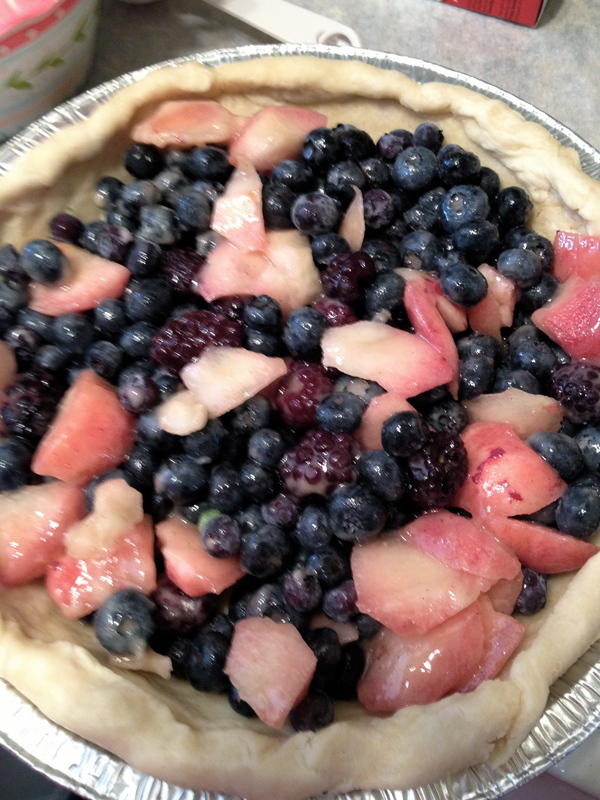 In most fruit pies I put at least 5 cups of fruit, but this one only calls for 4. And it’s still a total mess. Yet, delicious. 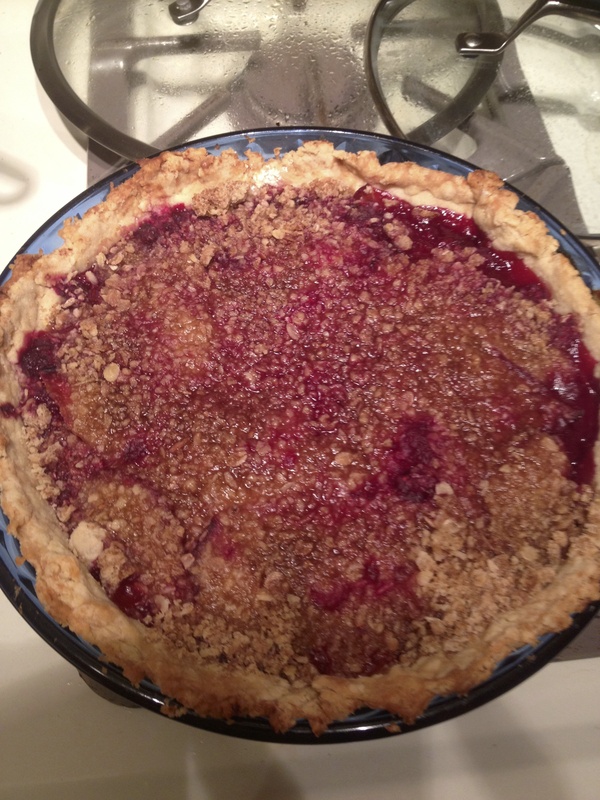 I have to include a picture of one of my Grandmother’s pies, so I present to you a Marie Sweeny Raspberry Pie. I learned on this trip that there is one very small difference between Grandmother’s crust and Ken’s Basic Flaky crust. But I’m not sure if I’m ready to divulge secrets like that for the world to read. All you need to know is that Marie Sweeny makes a top-notch pie.